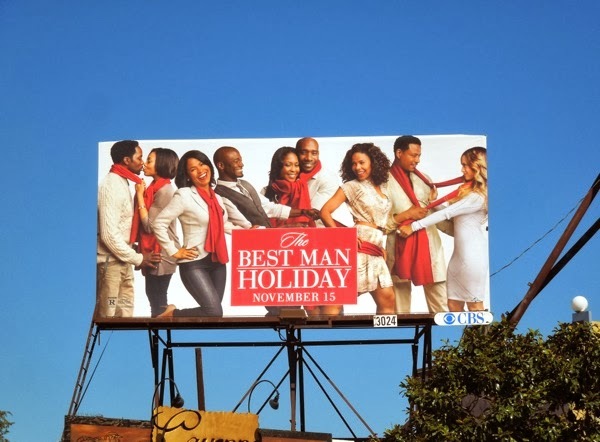 Is this a billboard for a new movie, or is it a Holiday ad for Gap with all those scarves and smiling couples? 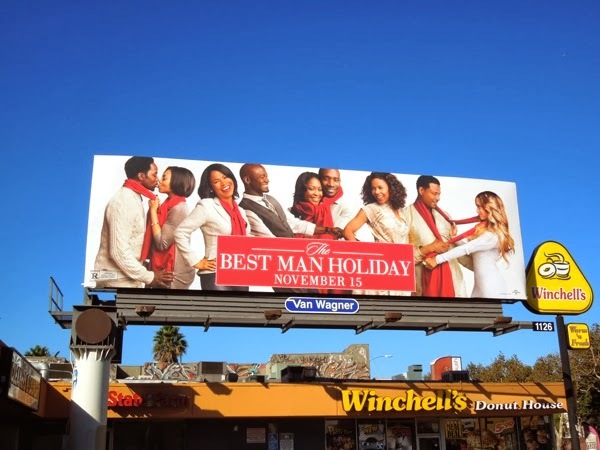 The Best Man Holiday is the comedy drama sequel to 1999's The Best Man and sees the college friends reunite after fifteen years over the Christmas holidays, where old rivalries and romances resurface. 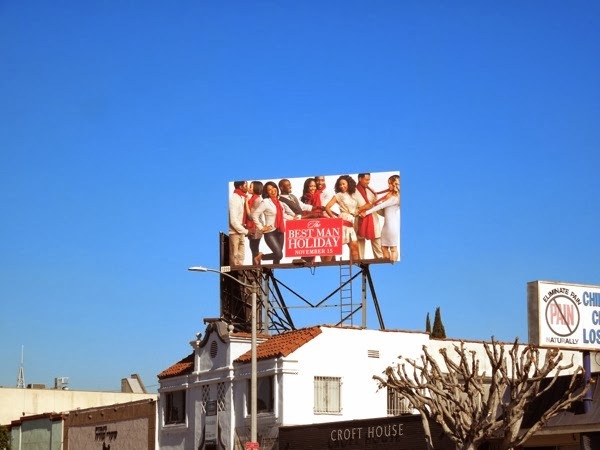 Taye Diggs, Terrance Howard, Harold Perrineau, Morris Chestnut, Regina Hall, Nia Long and Sanna Lathan all reprise their roles for this all-star cast, plus Malcolm D. Lee once again writes and directs the movie. 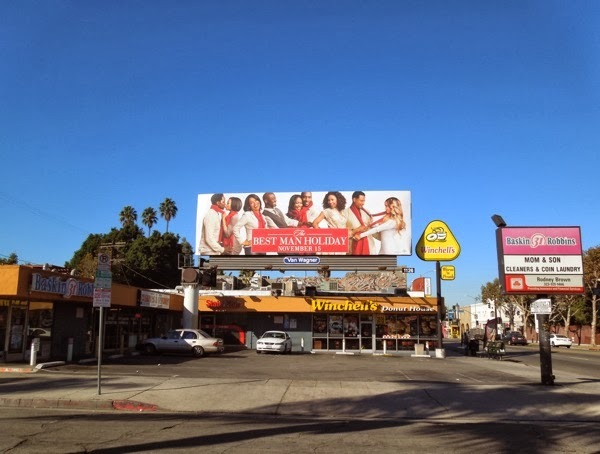 These festive film billboards were spied along Melrose Avenue, Beverly Boulevard and La Brea Avenue on October 31, 2013. 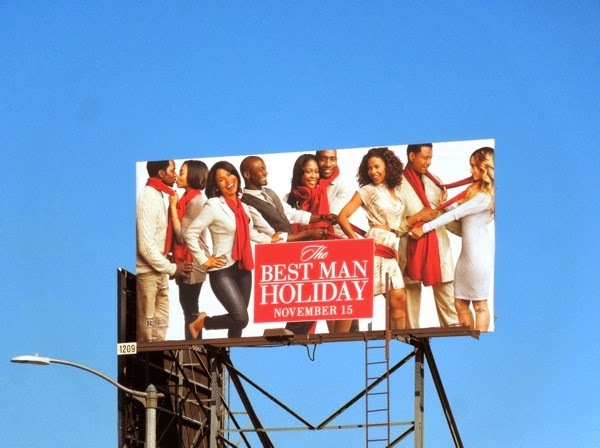 No matter how good, or bad, this movie is, it certainly helps get us in the Holiday spirit with those festive red and white colors. UPDATED: The Best Man Holiday certainly performed at the box office, opening with over $30 million in its first weekend, and here's some giant-size support for the movie sequel. 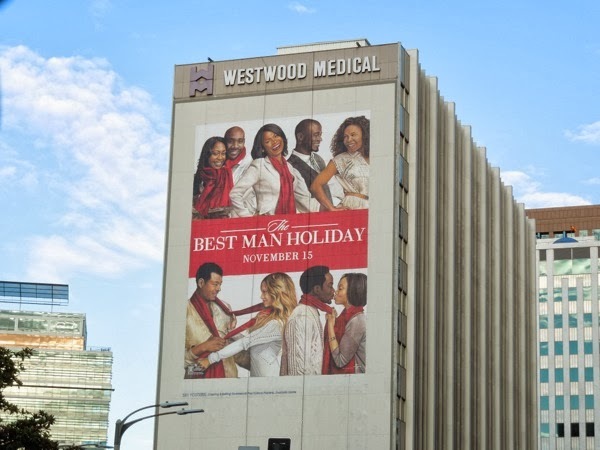 This super-sized wall mural was spotted along Wilshire Boulevard in Westwood on November 23, 2013.